I feel like a sleazy journalist. One without any morals or compunction. But if that is what it takes to get a few more visitors to my website, so be it. Actually, I do not really feel sleazy. After all, when I write about people, I usually send them an advanced copy to get their feedback. I want people to know that I have written about them. Still, it is amazing when I think about all the readers I get when I actually write about celebrities. Even local ones. 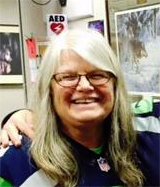 Recently, I wrote about Linda, our beloved head secretary, retiring. My Facebook statistics said I reached over 300 people with that one story. 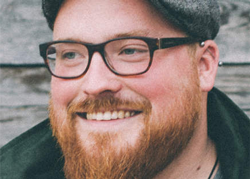 Then, I wrote about Austin Jenckes, our hometown celebrity singer, singing at graduation. My statistics said I reached over 400 people with that one. Normally, I get my two real readers (thanks M&M), plus a few family members, and some unsuspecting folks who must wander into my domain on accident. So I am happy when I have more than a few people read my stuff. Needless to say, I am ecstatic when I find that over 300 people read something I wrote. So I decided that I just need to write about famous people. Actually, I thought that long ago, but I do not know many famous people and I have not really asked my readers help me find some. And since I do not get out much, I am sure not to meet many in the near future. Especially since I am not planning to join the ranks of the paparazzi or tabloid writers. Besides, I cannot become a sleazy journalist (as opposed to the non-sleazy type) just because I might get a few more readers. Although, the idea is intriguing. Actually, the idea that is intriguing has nothing to do with being sleazy. Like I said, it has to do with writing about people. And they do not need to be famous. After all, I have always believed that everybody has a story. I tend to like the stories where lives change or intersect other lives due to some intervention by God. I also like to find out what makes people tick. I like to just get to know people on more than a superficial level. And I like to find out why they do what they do to affect other people in positive ways. Which is why I wrote about Linda and Austin. They are people who have affected others with their smiles and their songs. (Most of Linda’s songs seem to be sung by The Beatles.) They are people who have touched our hearts in ways that we may not even fully comprehend. The stories that I have written about people seem to be the ones more than just my few readers read. They are the ones that seem to affect people the most. And they are the stories that are the most fun to write as well. I just wish I knew more celebrities. Not only would I get more visitors to my website, I could feel more like a sleazy journalist. Or at least more like a storyteller and maybe a real journalist.